Will you be taking Humana PPO and part of Lee Health? Linda , we will be taking Humana PPO and we will have access to Lee Health and all their facilities -inpatient and outpatient. You are the BEST Doctor I Have EVER HAD!!!! THANK YOU, Jean – we are very excited as well! Congratulations ! All the best to the best. I will be there , taking the first appointment I can get. Thank you, Corinne – we will be there! Yay! I’ll stop by asap to give records permission. Will you be seeing us uninsured patients? Hi, John – of course, we are here for all of our patients ! Great news and congratulations on the new office! 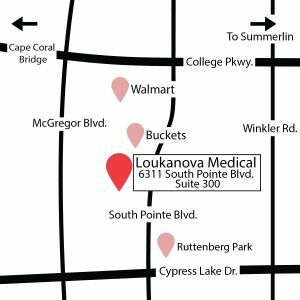 My family was so disappointed when we lost Dr. Loukanova from Lee but, thrilled to see you back and doing what you are known best for: providing excellent patient care! I will make my appointment soon! Thank you, Jennifer -it’s great to have the support of so many of our patients and colleagues – we really appreciate it! Looking forward seeing you in our new office! Do we need to check with you about our insurance coverage? Mary Lou, we are working to get with all of the insurances we were taking before – it is a process but is going along very well. Let us know if we can be of any assistance. Thank you, Sharon and Joe – we appreciate your support and we hope you will like our new practice as much as we love being there! Thank you, Bonnie,same here ,very happy! I will make appointment for I & R fot the month of November. In the morning if possible. And I would like my husband John to be a patient of yours too. Sure,Lucille – we will be happy to take care of it,November will be a busy month! It’s great to be able to take care of the whole family,helps a lot! 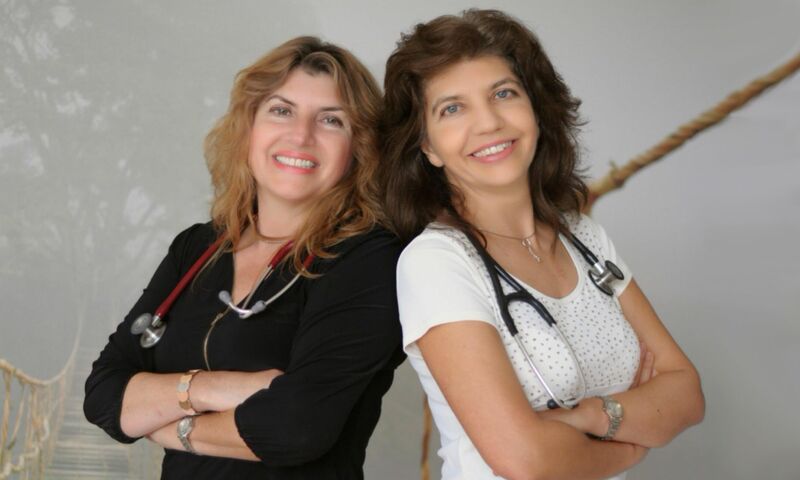 If you want to leave your contact information (phone number) we will call you – send it to findourdoctor@gmail.com or call the office and leave the information there- 239 689 4036,either way should work. Stay healthy,glad to be in touch! Thank you, Sandy – it is very exciting! So happy for you and I’ll be calling for appt. Thank you, Mary will be happy to see you in our new location – I am sure you will like it, we love it! Yay! So happy you will be open soon. You have done terrific job in organizing so quickly. Thanks ,Karen – has been very exciting and we are so happy to be able to open and see our patients again. Thank you for your support! Great,looking forward seeing you in our new office,Bonnie! This is great news! Congratulations!!! So happy for you! Thank you, Donna- we are very excited too! 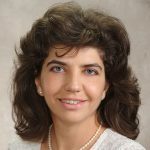 Congratulations Dr. A. Loukanova! You are an amazing doctor. I only wish you could treat me all the way in Rhode Island. I miss you!! Bill and I are so thrilled to hear you are open, CONGRATULATIONS! We will be in and scheduling appointments. There is no other Dr we trust to oversee and treat our health. Thank you for going through all this hard work opening your own office so we can all have the best. Congratulations on a very successful and quick transition. So happy for both of you. See you soon. Yes, Alda , we do take medicare and Tricare. Congrats on the new office! I will start spreading the word as I see some of your patients at wound care and they ask about you! Thank you, Samantha – we are here to see them! Congratulations and all Good Things for you both. Will stop in to pick up the record request form. Thank you, Judith, we will be there! Renee, we are very happy too – BCBS is still in the works, expecting it any time now! See you in the Fall ! Thank you, Dawn – already talked to Alex yesterday – he looks great!I hope you are doing well as well, stay healthy! Congratulations. Roxanne and I are looking forward to continuing with you. Will you be using MyChart or something similar? Thank you,Joe -it will be something similar and we will make it work well for the patients and for us. Thank you! Thank you,Beverly – we felt the same way,that is why we had to stay!Looking forward seeing you in the new office! Thank you, Shirley – we are working on getting on all insurances we were on before,it is a process and takes time…We will make it work !I can give you orders for labs at the appointment as well,no worries, Stay healthy! What a wonderful way to begin August! Already left a message to schedule a long-awaited, much-anticipated appointment! Natasha, if you have not heard back yet-let us know and we will call you! Just make sure you leave your phone number to call you back.Thanks! Thank you, Betty!Looking forward seeing you too! We am so delighted you have opened your practice! We are out of town but will be back in Florida in October. We will be making an appointment then. Great to hear form you, Carol and Jack, hope to see you soon for health checks only! Thank you! Congratulations….I am so happy that you have made these arrangements…I will return to Ft Myers on Oct lst,2018 and will be calling for an appointment. Carol, looking forward seeing you there! Stay healthy! Congratulations !! Will your new practice be accepting WEB TPA Insurance?? Kristina, we will be taking WEB TPA, just give us some time, would recommend making an appointment for later in the fall(unless urgent matter). Fantastic, it will be great to see Milena under less stressful conditions. Best of luck in your new endeavor. The both of you prove there are doctors who care about their patients. Thank you both. Thank you, Anthony – we really appreciate the support of all our patients!Thank you! SO happy about this. I was about to make a change because of the difficulties in getting in to see YOU Adriana. And then you made this wonderful move. You are still close to me and I have an appointment on your first day ! Can’t wait. I am glad that worked out well for you, Charlotte -we are very excited as well! I am unable to download the records release form for Dr Milena Loukanova. Sue, we do have the forms in the office as well -you can pick it up any day 8-5 or if you prefer other way-let us know, we can help. Chris, we have the forms in the office as well -no rush -you can stop by anytime and pick it up 8-5 or let us know if other ways would work better for you. All of your patients are so very blessed to have you continuing with what you do best, taking excellent care of us. I have made my appointment. Thank you, Claryce – we love our new office and we are looking forward seeing all of our patients! This makes me so happy ! I’ll be calling the office soon ! Thank you,Michelle, looking forward seeing you there! besides Medicare will you take United Health as a secondary Ins.? So excited and happy you are both back in business!! Betsy, we are working to get on all of the insurances we were taking before -it is a process and we are trying to speed it up as much as we can. Thank you fr the good wishes! So glad you are up & running. Congratulations to both of you. I am so glad that we (your patients) can rest assured knowing that we have caring and competent doctors taking care of us. Wish you success and a lot of blessings from above. Have you opened a new office yet? Waiting to hear from you so I can schedule an appt in September. What’s the best way to do that? Jean, we have been open since beginning or August,got very busy right away! We had posted our office information.The address is 6311 South Pointe Blvd, suite 300, Fort Myers 33919,phone 239 689 4036. Looking forward seeing you there! Congrats to both of you. Couldn’t see you for my physical you had already left. I went to the PA so all is good. Are you going to take Golden Rule insurance I hope so. Looking forward to seeing you on my next physical. How do I get scheduled for appt.